Crucially, all of these complaints were dismissed. Both a federal court and the DOE made clear that the activities at issue were not harassment against a protected group but constituted speech on matters of public concern, and therefore were protected by the First Amendment. Marcus founded and ran the Louis D. Brandeis Center for Human Rights Under Law (not affiliated with Brandeis University), which declares on its website, “In the Twenty-first Century, the leading civil and human rights challenge facing North American Jewry is the resurgent problem of anti-Semitism and anti-Israelism on university campuses. This social problem requires an immediate, effective, and coordinated legal response” (emphasis added). Note the conflation. How could anti-Israelism on campus or anywhere else pose a “civil and human rights challenge to North American Jewry”? If Judaism values universal justice, which the great prophets admonished the ancient Hebrews to honor, attention to the systematic injustice that Israel inflicts on the Palestinians qua non-Jews should be welcomed rather than feared by all, including Jews. As I’ve argued, there is no reason to view even foundational criticism of Israel through a presumption of anti-Semitism. Indeed, the Center itself claims that “the civil and human rights of the Jewish people are inextricably bound to the pursuit of justice for all peoples.” Unfortunately, that sentiment turns out to be mere lip service; it is not reflected in its actions — unless Palestinians are to be regarded as non-people. Alas, that seems to be the case. The Center is not alone in this belief or activity. Similar programs are carried out by the Canary Mission (an anonymous website), which “documents people and groups that promote hatred of the USA, Israel and Jews on North American college campuses,” and the David Horowitz Freedom Center, the self-identified “school of political warfare,” which through its Israel Security Center headed by Caroline Glick stigmatizes criticism of Israel as the “mainstreaming of anti-Semitism” and smears professors who are Palestinian or who express sympathy for the Palestinians’ plight. An assortment of other individuals, such as former student activist Bari Weiss, now a New York Times writer and editor feted for her courageous advocacy of free speech on campus, have also made it their mission to smear Palestinian sympathizers as Jew-haters. Marcus previously worked in the George W. Bush administration’s Education Department, Office of Civil Rights (OCR), and the U.S. Civil Rights Commission. As assistant secretary of education, he would have the power to move against colleges and universities that in his view failed to discipline pro-Palestinian student activists and professors on grounds that their statements and activities create a hostile climate for Jewish students and thereby violate their rights under Title VI of the 1964 Civil Rights Act. I write as the lead author of the … “Working Definition on Antisemitism,” to encourage you not to move “The Anti-Semitism Awareness Act of 2016,” which essentially incorporates that definition into law for a purpose that is both unconstitutional and unwise. If the definition is so enshrined, it will actually harm Jewish students and have a toxic effect on the academy…. Antisemitism – like all forms of bigotry – has an impact on some campuses. The worst way to address it is to create a de facto hate speech code, which is what this bill proposes to do. In years past various Title VI cases were brought asserting that a hostile environment was created in substantial part by anti-Israel speech. All of them lost…. Students should not be harassed and intimidated and threatened. But a campus must be a place where students are challenged by difficult – and yes, disturbing and even hateful – ideas. Marcus continued, “Just last week, I heard from a university chancellor who is eager to work with the Schusterman Center for Israel studies at Brandeis University to avert the possibility of a civil rights complaint.” In light of the threat from the Brandeis Center, I doubt the chancellor was likely to err on the side of free speech and free inquiry. 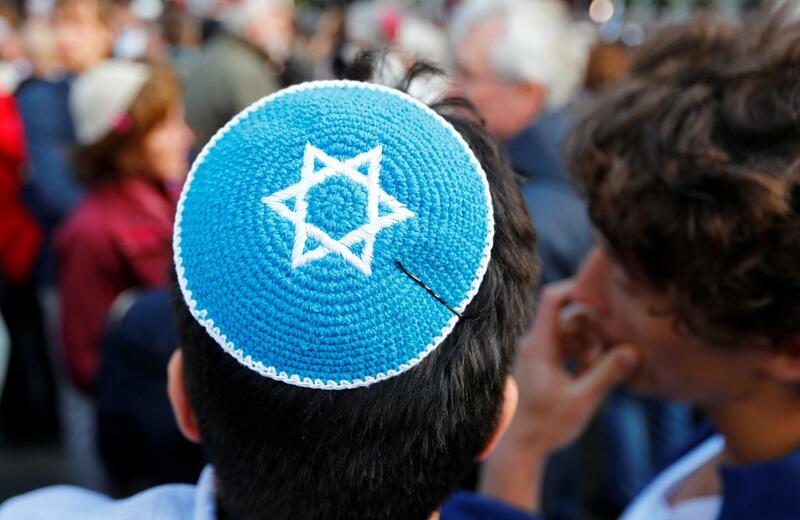 What one perceives as a hostile environment is highly subjective, but some believe that the mere perception of something as anti-Semitic is sufficient to make it anti-Semitic. Intentions and truth are irrelevant.